St. Johnsbury's Kingdom Taproom will mark five years in business later this month. 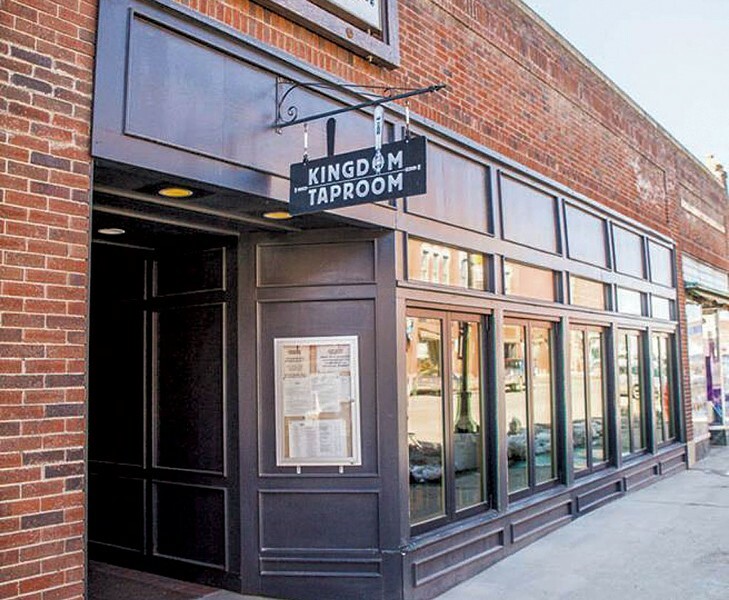 To celebrate, its 16 owner-partners have opened a new restaurant: Located directly upstairs from Kingdom Taproom at 397 Railroad Street, Kingdom Table — called "Table" for short — offers a polished, full-service complement to the basement-level craft-beer speakeasy. By day, light streams into the brick-walled bar-restaurant through a bank of picture windows, which previously displayed fixtures in a kitchen-and-bath retail showroom. "For us, having a bar in a basement, it's a really nice addition to be able to be streetside," said co-owner Tara Holt. Chef Lisa Foster's menu offers a mishmash of global street foods: steamed buns with Thai chile jam and ponzu dipping sauce, vegetable ramen, poutine and lobster cakes. Grass-fed beef burgers can come with additions such as maple-habanero bacon and Jasper Hill Farm Bayley Hazen Blue cheese, and the roast chicken has a citrus-IPA glaze. 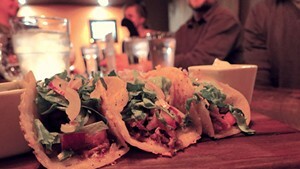 "The food is all super approachable," Holt said. "You're not going to read the menu and wonder what on Earth you're looking at. It's absolutely clear, and the flavors are incredible." Many of the ingredients hail from nearby farms, and the local ethos extends to the liquid offerings. Most of bar manager Libbie Lumbra's craft cocktails begin with Vermont-made spirits; some will be distilled right around the corner at soon-to-open St. Johnsbury Distillery. The wine list is small but thoughtfully curated, and the draft brews come from Vermont and New Hampshire. "Compared to the taproom, it's a much smaller draft list," Holt acknowledged. "There's not tons of variety, but the selections were made with intention." Beer nerds aren't likely to gripe about the bottle list, which includes Belgian styles from Brasserie Cantillon, Gueuzerie Tilquin and Brouwerij 3 Fonteinen, along with other hard-to-find Old World ferments and lots of local cans. Eventually, the Table will be open for lunch and dinner, Wednesday through Monday, Holt said. For now, dinner is served Wednesday through Saturday as the restaurant finds its footing. The original print version of this article was headlined "Tap to Table"